Next month, 1,777 exhibitors, an increase of 3% over February 2018 edition, will present their latest developments for the Spring/Summer 20 season at Première Vision Paris. 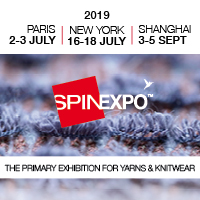 Next to the material suppliers – yarns, fabrics, leathers, accessories and components, designs – the show proposes a complementary and diversified manufacturing sourcing solutions. To support the strategy set out in 2017 of enhancing this manufacturing-sourcing offer and better address the challenges of buyers seeking fashion manufacturing solutions, Première Vision is clarifying its Manufacturing offering, with a dedicated itinerary grouping proximity sourcing, overseas sourcing, flatbed knit manufacturing, and leather fashion manufacturing, which has recently moved to Hall 4 of Première Vision Leather. Today, Première Vision Paris presents an ultra-comprehensive and international offer that brings together the full scope of fashion manufacturing know-hows required by fashion and accessory brands. This offer includes 217 manufacturers from five continents and is divided into four complementary universes. Knitwear Solutions, the platform dedicated to creative flatbed knits, is now Première Vision Manufacturing – Knitwear. This season, it presents know-how and developments from 26 international companies, broadly diversified in terms of specialties, products and origins. An offer adapted to all markets, presenting truly diverse materials (natural, organic, recycled ...) and a wide variety of styles (fancy knitting, jacquards, refined finishings), rounded out by the spinners at Première Vision Yarns and the knit studios, which are also found at Première Vision Designs. The creative flatbed knit and spinning developments also have their own inspiring fashion forum, the Yarns & Knitwear Selection, which features exclusive pieces and creative stitch points. The Sourcing Connection, the universe dedicated to sourcing from the Asia-Pacific region, has been renamed Première Vision Manufacturing - Overseas and is now biannual. It now offers, in February, as in September, a quality fashion-manufacturing offer that meets the main compliance criteria required by fashion brands, thanks to a unique and demanding selection process: compliance of production units, production lines, the application of social and wage regulations, and more. Manufacturers, subcontractors and garment makers, whether developing private label collections or pre-established finished products, these 37 exhibitors have thus all been vetted by a Selection Committee specialised in the manufacturing sector, whose own expertise is rounded out by an audit commissioned by Première Vision from Bureau Veritas, the world leader in compliance assessment and product certification. “The offer at Première Vision Manufacturing Overseas remains stable in terms of the number of exhibitors, with a strong Indian presence, linked in particular to the season,” said Yvan Dacquay, show manager of Première Vision Manufacturing – Overseas. “The offer from this country is mainly woven pieces, linen and cotton clothing and prints, which are very popular for spring summer. A show dedicated to specialists in proximity fashion manufacturing from the Euro-Mediterranean basin and the Indian Ocean, Première Vision Manufacturing is now Première Vision Manufacturing - Proximity. This space brings together some 127 exhibitors from Central and Western Europe, Eastern Europe – with notably this season the development of an offer from Bulgaria and Lithuania – North Africa, Mauritius and Madagascar.